Designers are an odd bunch, for some reason we like to talk about which programs we use more than anything else. Some like Photoshop, some like Sketch, some like Microsoft paint. The fight about which of these is the best can sometimes sound like a classroom of toddlers fighting about which crayon is the best colour, and it can be easy to get dragged in, but it doesn’t take a genius to figure out that it’s not always the most important part of the design process. 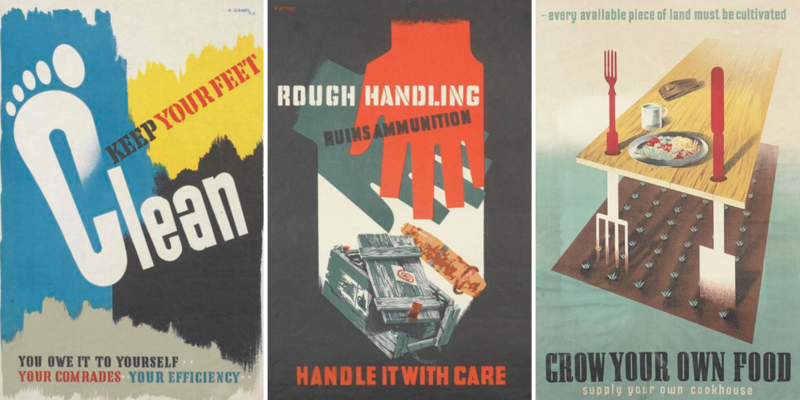 The best tip I can give to any designer is one I picked up in my university days while watching a documentary on Abram Games, the great mid-century poster designer. Games designed a whole bunch of public safety and army recruitment posters. He’d do pages and pages of sketches before starting to flesh out his ideas. Then he’d show the poster to his young children and ask them to explain what the design meant. If they couldn’t do it, then he would quite literally go back to the drawing board. Because of this, I started doing the same, but with my parents - two working class Mancunians who are completely uninterested in design. If the message was immediately apparent to them I’d go with it, but if not my wastepaper basket overflowed. Try doing this with whatever you design. Ideally you want to test on people that will use your products, but if you don’t have that luxury, then having a goal of things being universally understandable isn’t a bad one. There’s four steps to the process here before we even need to bother opening a design program. If we want landing pages to convert, we need to step back and look at what processes are currently in place and then be as cynical as possible about them. Actively search for problems. The aim isn’t just to make something pretty, it’s also to improve the way things work. How long are users generally on the page? How clear are the CTAs? Is the load time quick enough? What do your users click on most? Where do your users most commonly exit the page? What devices are people using to view the site? How easy is it to talk to someone through the page? How are people getting to the page, is this part easy enough? If you need help optimising your customer journey or landing pages, Six & Flow can help you to figure out where things are going wrong. All it take is a little bit of empathy.